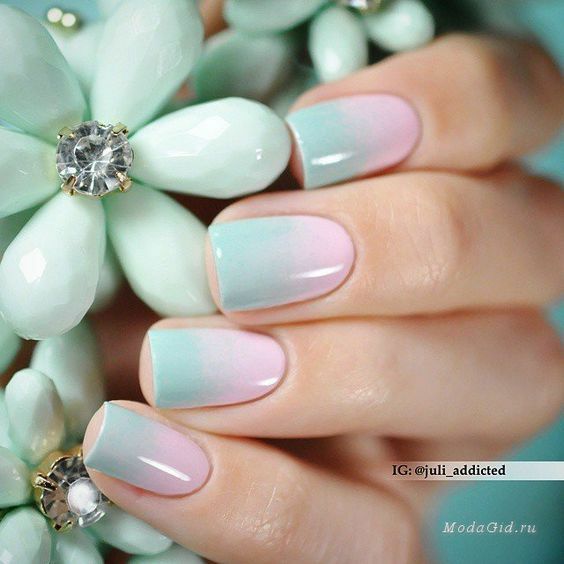 Those who love nail art, wouldn’t need to explain to the world why they love dolling up their nails. With that being said, if you need more reasons to explain the same, we shall gladly do so. However, take a look while we explain why nail art is a trend and so chic, at the many ideas on chic and simple nail art designs. We are sure you too would change your mind and think of decking up your nails, pretty and nice too. Quite often when one is doing nail art or watching someone do it, we are floored by the thought and idea of creativity involved. This is exactly why the world of fashionistas are in love with nail art. And each of us would have a different reason from the next to love nail art. Some may say, nail art is manna to the soul for fashionistas, and that could be sole reason enough to begin with. 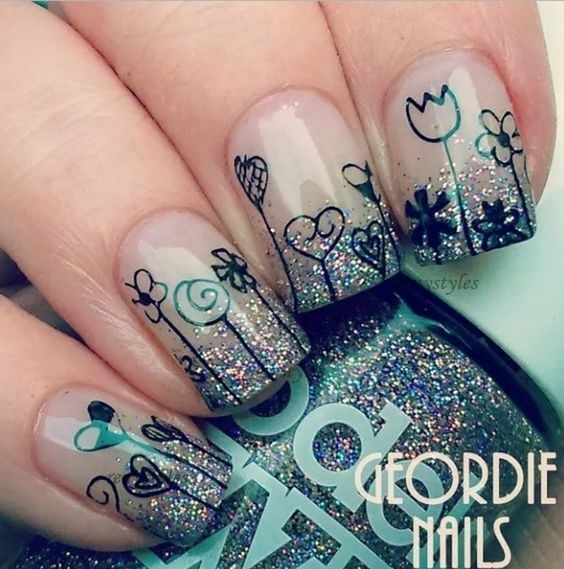 There are many that would also claim nail art being pretty rewarding and satisfying; it helps relax the mind and the soul, while the challenge is an exciting one with plenty of colors to play with. And this happens each time you sit to do your nails. Think about it. Talking about creativity, with nail art one can be loud and extravagant or low key and simple, yet super gorgeous too – beauty in all its bare forms appreciated. 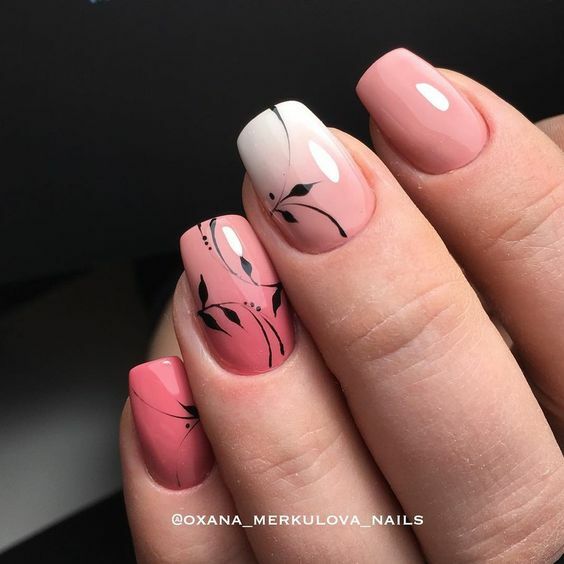 You don’t have to be a pro nail artist to be famous; these days you can come up with exclusive designs of your own and have a following on social media when you display your creations; the nail art community grows like this and appreciates your work too. Nail art isn’t an expensive affair, and anyone can pick up a nail art kit and get started too. What you need is passion and a little dedication along with focus, and the rest would fall in place. Price points really wouldn’t matter. You don’t need a reason or a season to indulge in chic nail art; sit back, relax and enjoy a cuppa while someone does it for, or when you do it for someone. You get the idea we hope; nail art can be done anywhere and for whoever you want. Another reason why you should fall in love with nail art is because the trend will evolve. It will never die out or go out of fashion; not like how clothing styles would and hence your hard-earned money spent of nail art wouldn’t go down the drain. Nail art is for ever, it is ageless and no matter what your real age would be, no one would lift an eyebrow at you for doing the same. However, a manicure now and then is a must, for the upkeep of your fingers, palms and nails; you wouldn’t want to flash chic nail art of shabby hands, now would you? Finally, it is a conversation starter- yes, that is what nail art can do. People come up to you, strangers even, to know where you got your nails done. The respect and politeness that comes across is of great decree. So, enjoy your time being pampered by a professional or DIY the nail art ideas on your own- don’t let this chance go by. Do write in and let us know how you liked this post and if the reasons were justified enough to motivate you to get nail art done- did you like the nail art ideas and pictures we shared? Write in!